If you are looking for a cost effective solution to display a large, impactful image, you should consider a projector system. They offer high image quality (including 4K), 3D capabilities, and improved environmental credentials helping you to improve your corporate social responsibility. 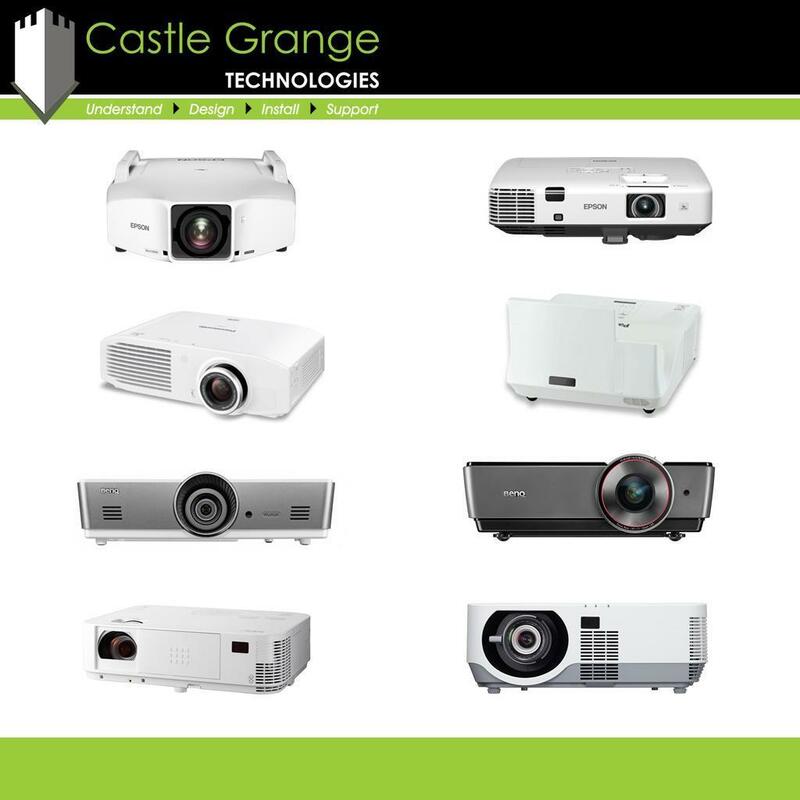 The huge screen sizes, and extensive viewing angles offered by projectors make them a suitable audio visual solution for presentations. Projectors are not only suitable for presentations, meetings, and training, companies are now using this technology to create artistic, and unique ambiances by projecting imagery, or scenery representative of their brand. 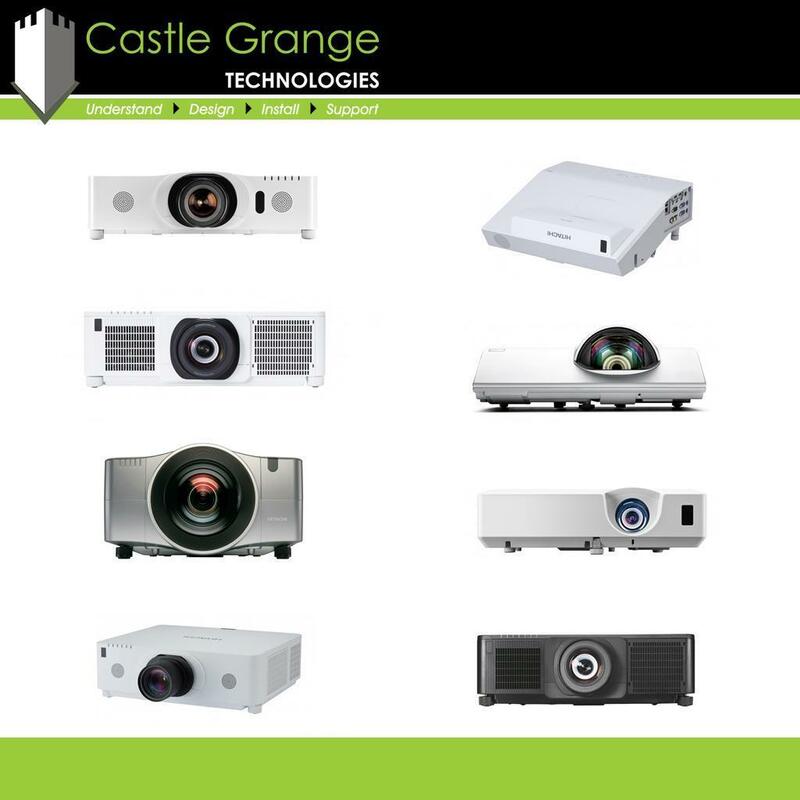 At Castle Grange we are accredited installers of major projector brands. Our extensive expertise allows us to offer everything from a simple meeting room installation to complex edge blended projection. Projectors offer different levels of brightness, display options and throw distances. It is important to consider the ANSI-lumen and resolution of the projector and the point at which it is to be installed. Make things simple for yourself by utilising our free consultancy service and we will recommend a projector that is suitable to your needs. 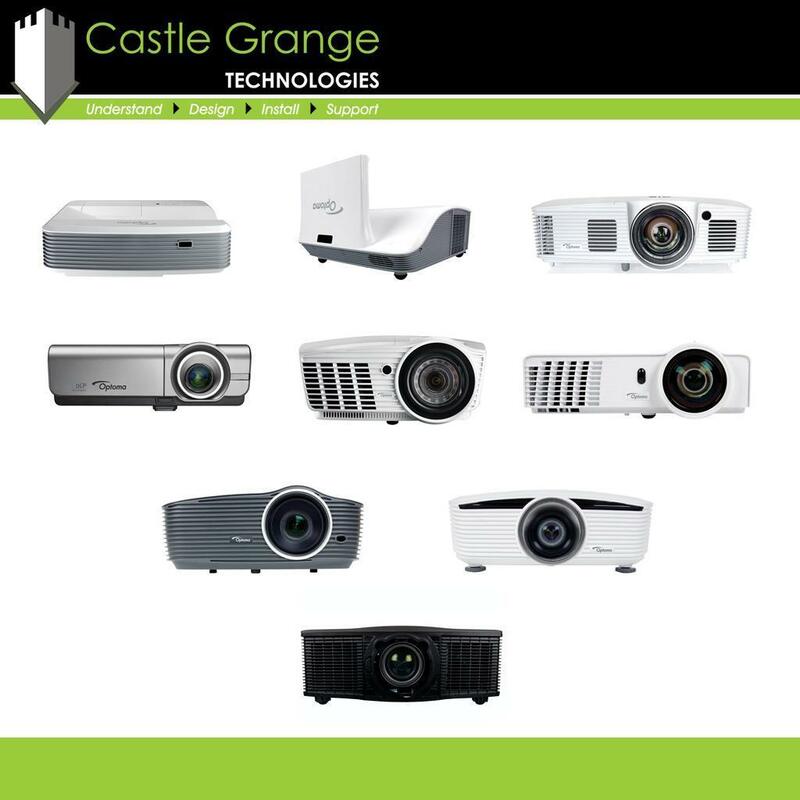 As well as supplying a suitable projector and screen, we also offer a professional installation service from team of engineers who will install your projector to a high standard, to ensure that the image aligns perfectly with the screen. You can view our photographs and videos relating to Projectors by using the tabs below. 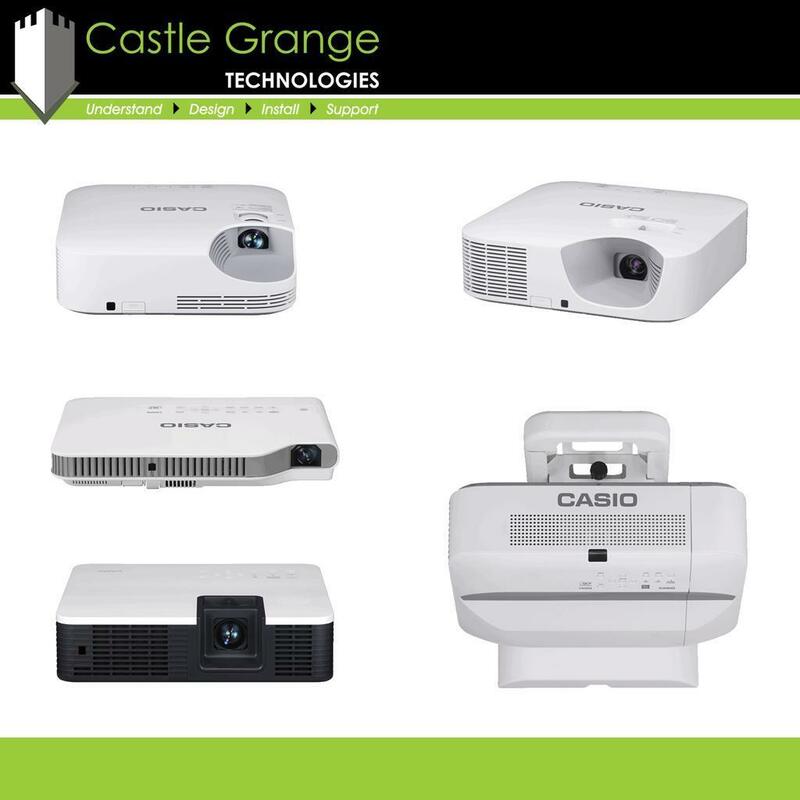 There is no cap on what you can achieve with projection, so rest assured whatever your requirements are we can offer a suitable projector solution.